Antivirus Free Download | Why Install Comodo Antivirus? Why You Should Install Comodo Antivirus Free Download Immediately? Comodo Antivirus Free Download is a lucrative option for PC users. Of course, there are many other free antivirus software out there in the IT security market. But Comodo Free Antivirus is unique, backed by impressive technologies, which ensure your PC(s) stay secure against the modern-day malware and also against the zero-day threats which emerge from the cybersecurity threat landscape every day. Let's take a look at one of the reasons why Comodo Free Antivirus is unique and why PC users like you should download it immediately and get solid PC protection — at no cost at all! Malware when it infects PC(s) usually modifies a file or group of files. These files are usually system-critical files (or folders) without which the PC won't be able to function properly. What Comodo HIPS (Host Intrusion Prevention System) does is it protects these system-critical files (or folders) from malware infections by 'enforcing a set of security rules' that offer high levels of protection. With HIPS settings turned ON (or enabled), various programs (executables) and processes on your PC are allowed to run, only if they comply with the configured HIPS settings. And in case they don't, those programs (executables) or processes will be stopped from execution or terminated. This method of PC security offers solid protection against malware and zero-day exploits. Comodo HIPS is highly customizable. Which means PC users can modify these security rules as per their requirements. And less tech-savvy users need not worry about configuring HIPS, as Comodo Free Antivirus ships with a default HIPS rule set that offers 'enhanced protection' to their PC(s) by default. As the name suggests, this is for those who are paranoid about their PC's security. When PC users opt for this mode, even those executable files deemed safe by Comodo will not be left out from being monitored or scrutinized. This mode is usually preferred by advanced users who are completely aware of their system's activities. This mode usually overlooks files which have been deemed safe by Comodo (again option available entirely at the PC user's discretion) when it comes to monitoring files/folders. Safe mode is less severe (but definitely not less secure) than the monitoring system offered by Paranoid mode. This mode is usually preferred when buying a new PC or if the user is pretty sure that the PC is malware-free and wants only the new executables (.exe files) introduced into the system to be monitored and controlled. Once enabled, users will be alerted whenever a new, unrecognized application is installed. In this mode, the HIPS system creates automatic 'Allow' rules after learning the activity of various executables within your PC. In other words, it creates its own 'Allow rules' after analyzing your PC(s) activities. PC users don't receive any HIPS alerts in 'Training Mode' and it is probably the 'least secure' of all the levels of security offered by HIPS. 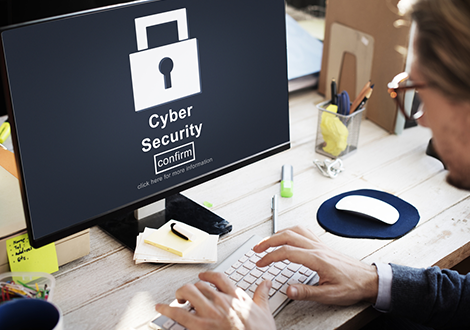 Now that you are aware of Comodo HIPS technology, and how it protects PC(s) against security threats, it's time you started using it to secure your PC(s).